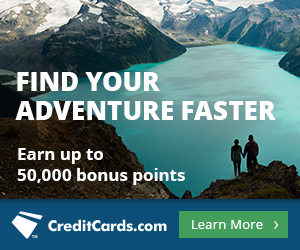 Home ThankYou Points Can You Redeem Citi ThankYou Points for Flights on All Airlines? Can You Redeem Citi ThankYou Points for Flights on All Airlines? The Citi Prestige offer mentioned in this post is expired. See the new offer and analysis here. 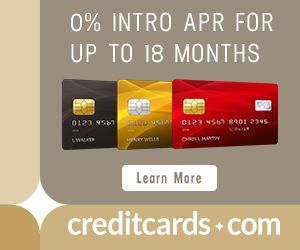 ThankYou Points are easy to earn because both the Citi Prestige® Card and the Citi ThankYou® Premier Card offer 50,000 and 40,000 bonus points respectively after spending $3,000 in the first three months and big category bonuses. I have both, and I combined my ThankYou points into one account. The question I’ve long had is: can you really use ThankYou Points like cash toward any airline? This page says yes, but the answer is no. Not all airlines show up on thankyou.com. If an airline you want to book with ThankYou Points doesn’t appear there, you call 800-THANK-YOU. Yesterday I tested out which airlines I could book by calling 800-THANK-YOU to try to book a Southwest flight and a Malindo Air flight. When I told the ThankYou agent I wanted to book a flight, she connected me to Connexions Loyalty Travel Solutions. I told that agent the exact Southwest flight I wanted. This flight is $109. ThankYou Points earned with the Citi Prestige® Card are worth 1.33 cents each toward non-American Airlines flights. At that rate, a $109 flight would cost 8,196 ThankYou Points. Instead the agent priced my Southwest flight at 15,639 ThankYou Points. That’s like getting 0.70 cents per point, which is terrible. Or alternatively, maybe the agent was charging me $208, which is $109 for the flight and a $99 booking fee–also terrible. I then asked her to price a Malindo Air flight from Kuala Lumpur to Delhi to test the limits of what airlines agents can book. The agent said she couldn’t book the flight because it wasn’t on the list of bookable airlines. I asked her for a copy of her list, and she read me their airline codes one by one. Below is that list. Not all airlines are bookable with ThankYou Points, and those that are might cost way more over the phone than they do online. But I don’t think is a big deal for two reasons. Booking other airlines besides American Airlines with ThankYou Points was already a bad deal. You get 1.6 cents per point when booking AA and only 1.33 with other airlines. And I’ve never even booked AA with ThankYou Points. I get even more value by transferring my ThankYou Points to Singapore miles. There are ways to book any flight on any airline for free. Use Arrival miles or the $250 Air Travel credit on the ThankYou Prestige. I do not recommend calling 800-THANK-YOU to use ThankYou Points like cash toward the purchase of flights. I definitely made one or two mistakes trying to keep up with her, but this is close to a complete and accurate list of airlines that ThankYou Points can book. You can google the airline code of any airline that interests you to cross-reference with this list. Your guess is as good as mine what “-e” means on many of the codes. It must mean something, but I can’t figure it out. UA Phil – Have you booked a southwest flight using TYP booking center and then canceled it and received ticketless travel funds for the full amount? When booking the Southwest flight, does Citi Travel Center give you the Southwest Confirmation Number? TFlow – I haven’t yet made a Southwest booking with TYP or Flexperks. However, I’ve booked air and hotel reservations through many other third party sites (including “4th night free” hotel bookings through Citi Prestige Concierge), and they’ve all given me the actual airline or hotel confirmation number. Also, they’ve always been willing to add my frequent traveler number to the reservation. If for any reason you can’t get the confirmation number from TYP, and can’t see the reservation when you log on to your Rapid Rewards account, you can call Southwest, give them the date, flight number, and city pairs, and have them give you the confirmation number. You can then look up the booking online, and manage it similarly to any other Southwest booking. Thanks UAPhil! I will try booking a ticket in the next day or two. In addition, the minimum threshold for redemptions will be 10k miles and some “Tourist Attractions” like museums, wineries, expos, and craft shows will no longer be eligible for those redemptions. Did either of you eventually try the above stategy successfully? “booked a southwest flight using TYP booking center and then canceled it and received ticketless travel funds for the full amount”. I’ve got a lot of TYP and want to use them on southwest bc I have a companion pass as well. Bob – I have now successfully booked a Southwest ticket through TYP booking center, cancelled the ticket online with Southwest (leaving the travel funds available for reuse), and reused the funds for other tickets. I did run into one issue: I gave the TYP booking center my middle name. In Southwest’s reservation system, my middle name got “smushed together” with my first name, with no space in between. This prevented me from reusing the travel funds online due to the name mismatch. I phoned in to Southwest res, who were able to help me reuse the funds. In the future, I plan to leave my middle name off reservations made with the TYP booking center. Hopefully this will allow me to reuse the funds online. When you booked Southwest ticket with TYP, was the southwest fare (in cents) equal to 1.25 times your TYP redeemed? Thanks UAPhil!! Very helpful info.